In the 2005 movie Coach Carter, Samuel L. Jackson plays the stern basketball coach of a poor, struggling high school team in Richmond, California. Disillusioned and unmotivated, the team lacks the psychological edge it needs to win. Carter puts written contracts in place, outlining strict requirements from each of the team members. The community is outraged when he benches the entire team for letting their grades slip. But the group ultimately gains undefeated success, and the team mates walk away with more than just basketball victories, thanks to their tough, undeterred mentor. The sports world is full of examples like these, but are there “Coach Carters” in the business world? Men and women who help businesses to look within themselves and achieve unprecedented success? The answer is yes. You’ll find him or her in the form of a business mentor. Successful business icons almost without exception speak of a business mentor: someone experienced in the game who acted as a guru, a sounding board and an advisor. Microsoft founder and multi-billionaire Bill Gates credits much of his success to his business mentor, Warren Buffet. Property mogul Donald Trump says his mentorship came from his father, something that was “very important in my working life”, he says. Facebook COO Sheryl Sandberg speaks of the guidance she got from the then US Treasury Secretary Larry Summers. Here are four things a business mentor can offer you and your company. The X factor that everyone from Coach Carter to Larry Summers possessed — the one reason that made their advice so valuable — was that they had years of experience. When Bill Gates was contemplating his first big deal with Microsoft, he could bounce ideas off Warren Buffet, who had already clinched scores of big deals before. Coach Carter could afford to offer sound advice to his team because he had years as a successful athlete behind him. And a seasoned business mentor will have spent time in the trenches too. They’ll know the dilemmas you’re facing, because they faced them once before themselves. They’ll know the undetermined threats looming in your future, because they’ve already personally encountered them. A business mentor has a different perspective on the opportunities your company faces. If your company were a ship, your business mentor would be standing atop the sails. Put plainly, he can see things you can’t. The reason for this is two-fold. Firstly, he’s been playing this game longer than you have. He’s sailed seas that you haven’t yet ventured on. Secondly, he doesn’t have the same vested interest in the company. You might be so hinged on a particular success that you become bogged down in the detail and unable to take an arm’s length view on long term decisions for the company. Your business mentor can give you the confidence to take a leap, or warn you away from risk that may involve unforeseen hazards. Your business mentor should help you set up internal structures that work, and that are solid enough to carry the company forward. They can help set up the literal foundations and pathways for success. Ever wonder why it costs so much to attend seminars by respected motivational speakers? It’s because motivation is invaluable. You can’t buy it or install it, but when it’s there, it’s a force that works magic in your company. 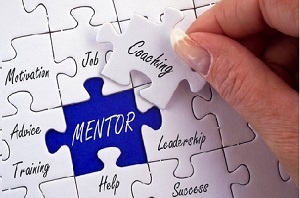 A good business mentor nurtures and motivates employees by providing them with perspective and role-modelling. The result? A driven and focused workforce that is more powerful than others. If your company could benefit from a business mentor, The Finance Team can provide you with one. Our experienced, highly qualified advisors offer ongoing or ad hoc assistance, according to the needs of your company. Chat to us today to find out more.